This is a HUD Acquired property being SOLD AS IS. The home does need some repairs, but it is worth the price. It has a unique historic style. CASE NUMBER 105-525937. Exterior Features There is a large front porch that is perfect for lounging outside. It is all wood exterior. 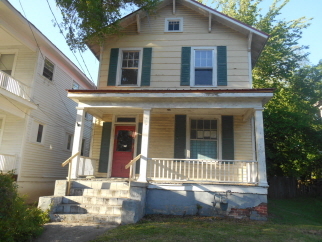 It is located in one of Augusta's historic neighborhoods.